Will get right into it today! STEP 1 – Gather your ingredients. 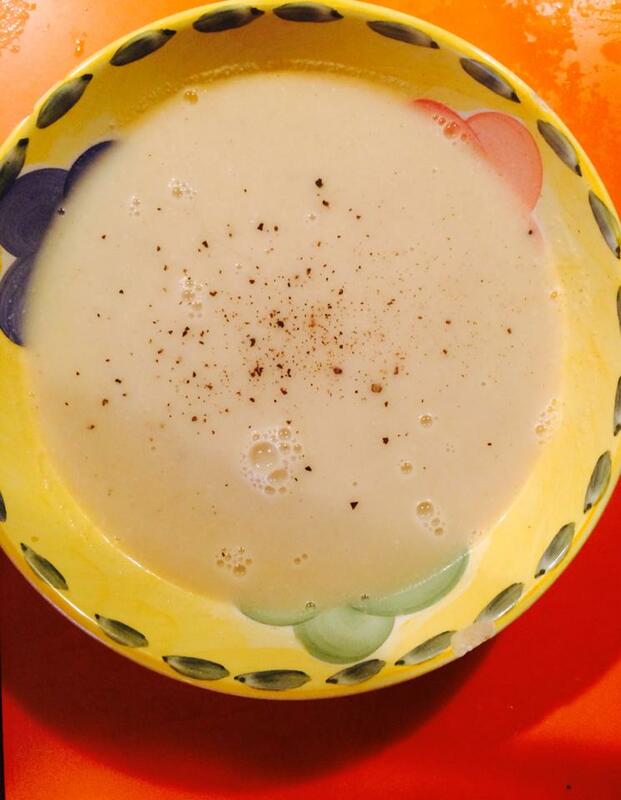 For this I used a head of cauliflower, 2 cans of light coconut milk, ground coriander, 2L of stock (veggie), a tsp. of coconut oil, 1 brown onion, 5 cloves of garlic, the juice of 1 lime and salt and pepper to taste. STEP 2 – Melt a tsp. 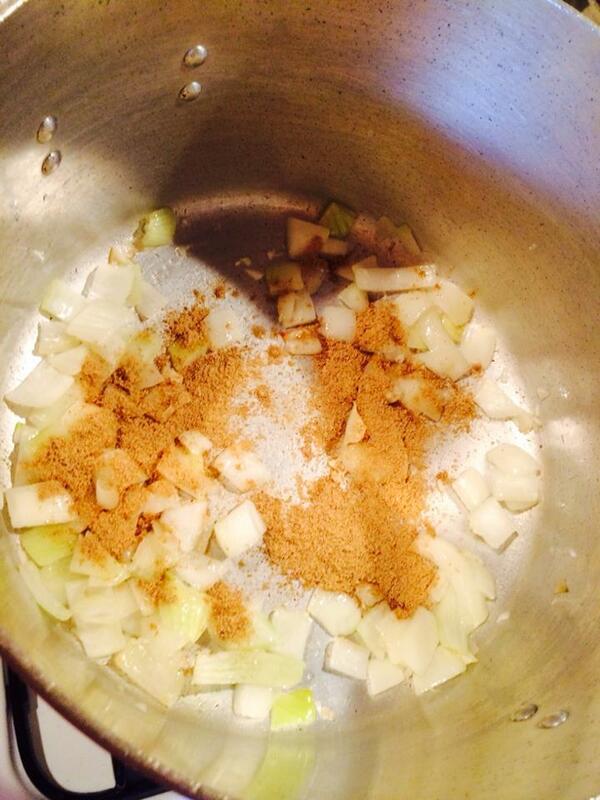 of coconut oil in a pot and add your onion and crushed garlic and cook until browned and fragrant. Add a TBS of ground coriander and mix through. 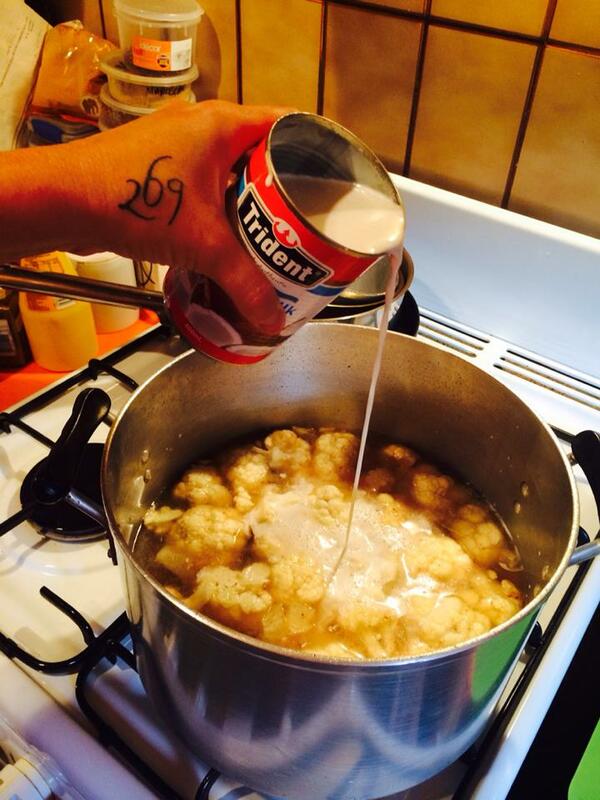 Chop your cauliflower into florets and add them to the pot, stirring for a few minutes. 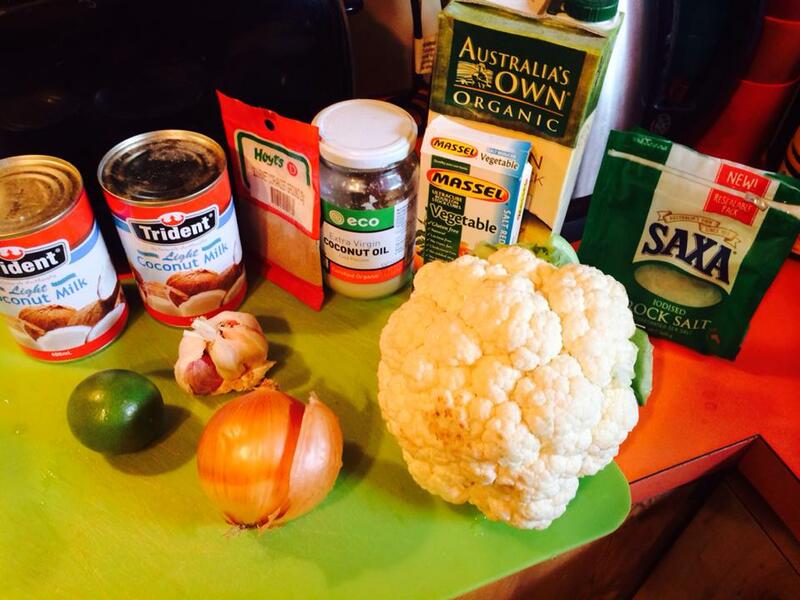 STEP 3 – Add your 2L of veggie stock and the 2 cans of coconut milk and stir. 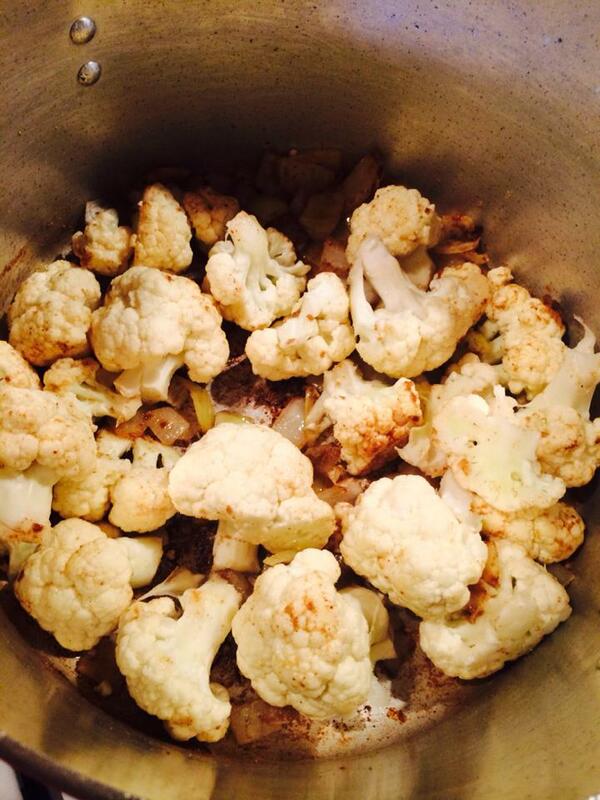 Bring to boil and then let simmer for about 20 minutes or until the cauliflower is soft. 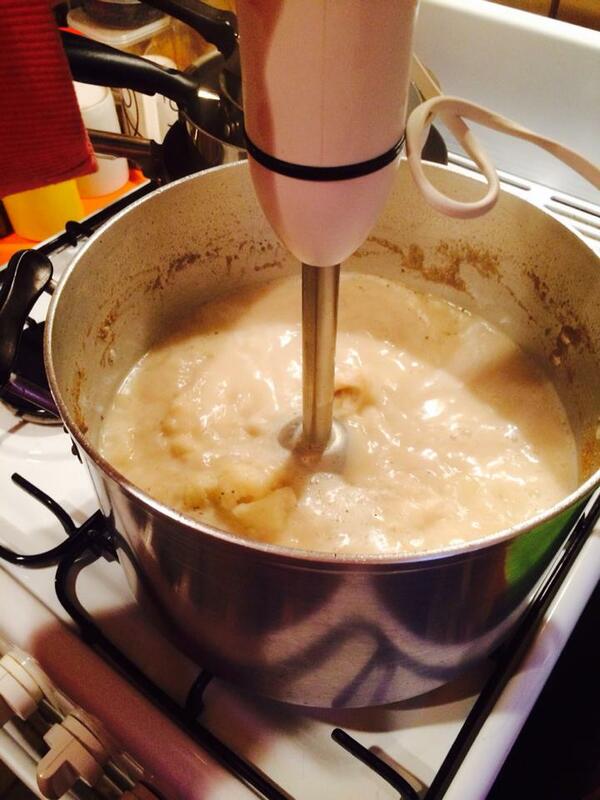 STEP 4 – With a stick blender, blend all of the ingredients until smooth and creamy. This is the perfect time to taste and add any salt and pepper if required. 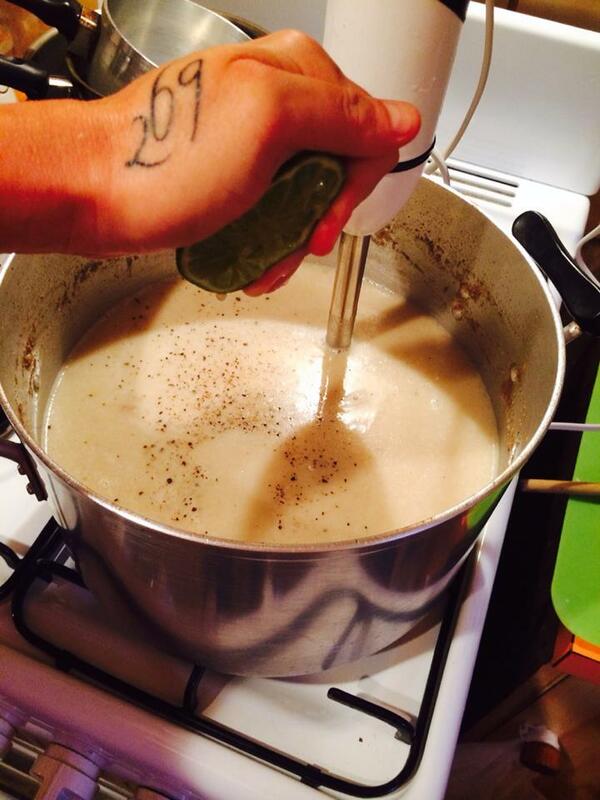 STEP 5 – Squeeze the juice of 1 lime into the soup and continue to stir (or blend if need to be). If you do not like lime then you can just leave it out. I hope you enjoy this delicious and creamy soup. Please feel free to leave comments. I love hearing your feedback and what you like (or do not like). Hope you enjoy the rest of your week fellow compassionates. This entry was posted in Uncategorized and tagged cauliflower, coconut, creamy, Cruelty Free, health, healthy, healthy food, lime, plant based, soup, vegan, vegan cooking, vegan eats, vegan food, vegan soup, veganism, vegetable, vegetable soup, vegetables, vegetarian. Bookmark the permalink.